Every kid is like an uncut diamond, waiting for these flashes of remarkable beauty and light to be revealed. I try to see the students for their future potential, not for their maddening behavior in the present. In my mind and heart, I separate the poor behavior from WHO my students are as people. I actually say out loud that I care about them and that they are valuable, just because they are themselves. They don't hear it often enough. I try to show kids that I care about them as people... respect them, honor their voice and their opinions, I laugh at their jokes, and above all, I listen. If they KNOW you care, they will be more likely to respect your efforts to discipline. Disciplining is one more way we care about our kids, after all. "What is this students special talent?" I ask myself. Everyone has gifts, everyone has something special and unique to share. No matter how disruptive, rude, loud, or off task and destructive they are, they still matter. Everyone needs to feel appreciated. Everyone needs to feel that they are important. Everyone needs to feel that they are loved. In light of the recent tragedy in south Florida, many of us have been trying to find ways we can do something to help. We have cried, prayed, mailed cards and notes to Parkland to be displayed in the hallways for the students' return this Wednesday, and hopefully written our legislators with our ideas. I believe with all my heart that THIS TIME we will learn from our mistakes as a society and we WILL see a change. I am so proud of our students at Stoneman Douglas High School for doing the hard work of speaking out even in the midst of their grief. 1. Each of us has a personal responsibility to love and value others, to see them for who they could be and not for the foolish things they are saying and doing now. 2. We also have a responsibility to teach our students that they need to value each other, and HOW to go about doing that. There are too many kids growing up thinking they can belittle, demean, bully, and torment each other. Last week, my 3rd and 4th graders practiced honoring one another by writing a compliment to each person in their class. We talked about uncut diamonds, that they look like ugly gray rocks before a jeweler sculpts and polishes the stone. 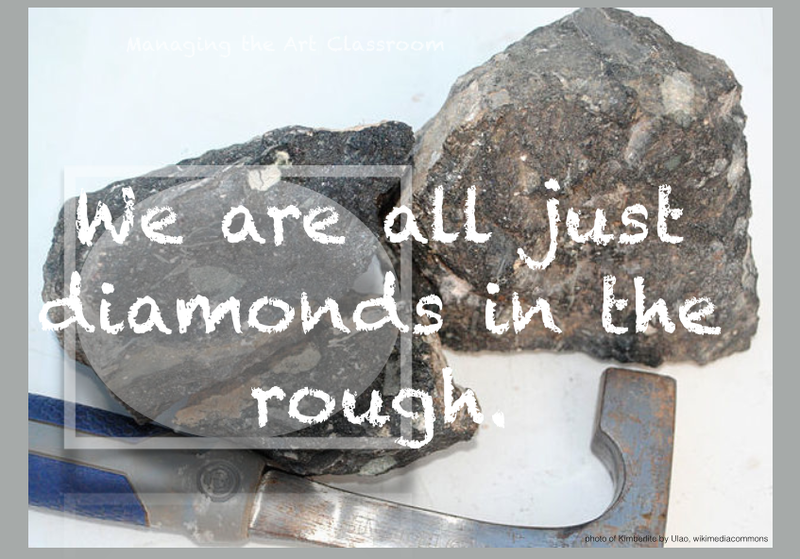 I told them, "Everyone is a diamond in the rough," while passing around a lumpy gray rock and some plastic "diamonds." We also watched a Youtube video about a little girl in California who gives away "Kindness Bracelets" and we made some cardboard paper mache bracelets to give away. 3. 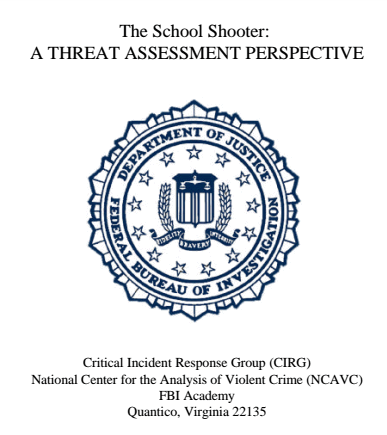 As art teachers, we can keep an eye out for subtle signs that a student needs extra interventions: below is a link to the FBI document that outlines hard facts about school shooters, one of which is that all of these individuals "leaked" ... they showed signs of an inclination toward violence long before picking up a gun. 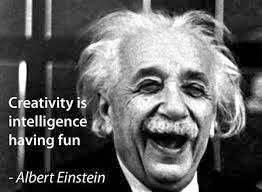 These tendencies emerge in students' writing, artwork, conversations, etc.